Keep an eye on your inbox, if you sent in one of those developer's acceptance forms. A short while back Microsoft signalled its belief in independent game development by welcoming applications from game creators to work on the Xbox One. Saying it wanted the process to be "as inclusive as possible," Microsoft announced at Gamescom 2013 that developers didn't need an established publisher to forge a relationship with Microsoft. All developers had to do was apply for approval, with preference given to those with a proven track record. Now the applications are in, Microsoft's been sorting through the pile, and replies are about to go out this week. One way or the other, developers will find out whether their indie efforts met with Microsoft's approval. "Will that include 'not at this time' and 'no' messages," one developer asked, and the Xbox One team said it would, "though with somewhat different messaging." Anyone in doubt as to whether an application got through to Microsoft or not is encouraged to contact the team directly. The ultimate intent, as Microsoft's Chris Carla has said, is to create a system in which independents have access to "every business model that any other game on Xbox One has," so those indie developers will be able to create games with all the bells, whistles and Achievements that you've come to expect from any Xbox title, provided the developer gets Microsoft's seal of approval. 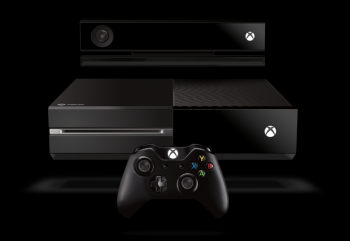 The aim eventually is to create a system in which an Xbox One is also a developer's kit, capable of helping any developer get its dream game out there. So if you were among those who put your hat in the ring a short while back, you may be in luck. Or not. Either way, you'll find out this week.